American Wolf: Henry Thomas's Skeleton Key. 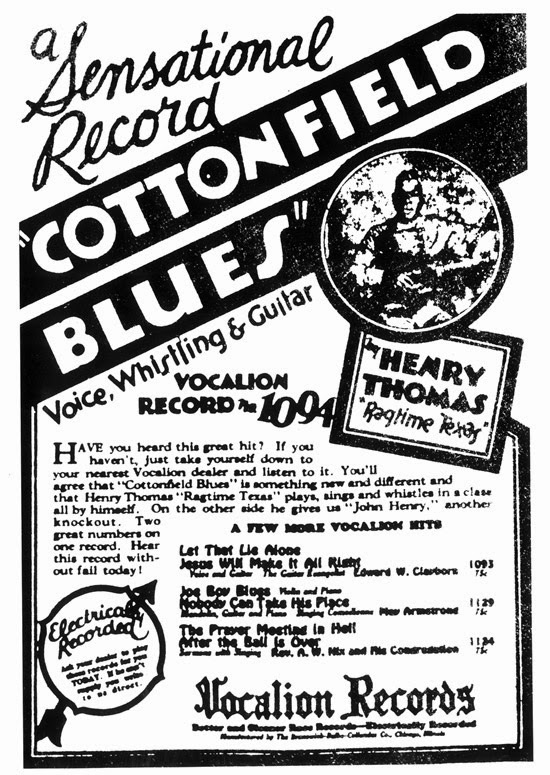 Henry "Ragtime Texas" Thomas was a bluesman who recorded about two dozen sides some 85 years ago. 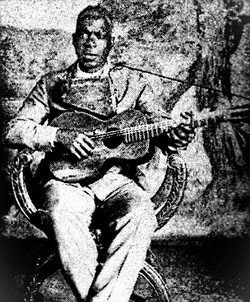 Born in 1877, he was one of the oldest blues singers to record & one of few to use a kind of panpipe called quills—an ancient instrument that was once ubiquitous in the American South, but was falling out of fashion by the time the blues craze hit in the 1920s. Chances are he would be nothing more than a minor footnote if it weren't for the fact that 2 of his songs—"Fishing Blues" & "Old Country Stomp"—were included in Harry Smith's legendary Anthology Of American Folk Music. His advanced age (he was 50 when he made his first record) coupled with old-fashioned instrumentation (a guitar pitched up high in an open D tuning, which smacked of a style that was honed on banjo) & the good fortune of recording for a company that was content to release mostly non-blues material (the hot music that pretty much all labels of African-American music was releasing in his time) led to something bigger than even Henry Thomas's 6'3" frame: An insight into pre-blues music. Pretty much everything we know about Henry Thomas is thanks to the blues historian Mack McCormick; his essay for an early double-LP set of Thomas's songs is the standard to which all liner notes should be held—you can read them here. One of the key things McCormick points out is how Henry Thomas was the child of ex-slaves, which makes him part of the first generation of African-Americans to be born free. It is said Thomas left home at age 11 & never looked back. Usually traveling around with no home is seen as a cruel punishment in the blues, but for people of Thomas's generation, being able to roam freely may have seemed like a privilege. & so roam Henry Thomas did. He appears to have no set address—like Woody Guthrie, he rode the rails, like Kurt Cobain, he slept under bridges. He played on Texas street-corners, at the 1904 St. Louis World's Fair, & most importantly to us, in a Chicago studio, yielding 23 songs over 5 sessions from 1927 to 1929. 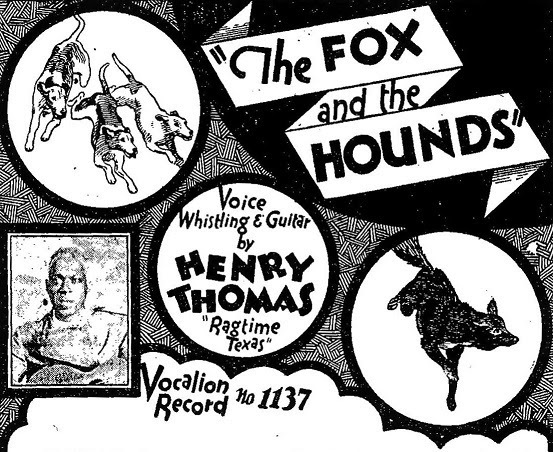 Henry Thomas recorded a special kind of music. It has been called "songster" music, but I think of it more as "skeleton key" music—the sound of a genre (blues) emerging from the ether, in a sea of shared verses & melodies. Based on his recorded output, Henry Thomas didn't seem to write songs as much as he adapt them or form them on the fly. As a result, rhythms, melodies, & structures can change on a whim, such that one song can shift into another. 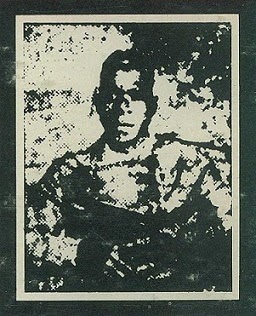 There's Thomas's "Bob McKinney" from 1927, an early version of "Stagger Lee," which begins about a bad man, much in the style of Mississippi John Hurt's "Stack O'Lee," which Hurt would record one year later. But midway through, Thomas starts singing a refrain of "Take me back," which the song then seems to do—taking him back in time or memory or simple association—until he lands with a version of "Make Me A Pallet On The Floor," which has an entirely different chord structure & swing, as well as nothing to do with Bob McKinney or anything from the first section of the song. A born journeyman, Henry Thomas performed his songs like he lived his life: Made up as he went along. Listening to Thomas's recordings is a uniquely organic experience—sometimes a verse is sung in one song that crops up identically in another; sometimes a song about one subject turns into a song about another; sometimes a verse format is rigidly kept; sometimes it feels like you're listening to a medley. & then there are times when a single line is repeated 3 or 4 times in one verse, & then switched up with a call-&-response in the next, which makes you feel as though you are witnessing the blues being stumbled upon right before your ears. His songs run together like the common well of music from which the blues—& later rock—would form. This is music all about forward motion, not just in the restlessness of the songs themselves, but of the way in which his songs set the structure for countless others. In "Lovin' Babe," he sings about "Goin' down that road feelin' bad," which Woody Guthrie would turn into "Goin' Down That Road Feelin' Bad" & name it as the most popular song of the Dust Bowl migrants; in "Bull Doze Blues," he sings of "Going up the country," which Canned Heat would perform at Woodstock as "Going Up The Country"; in "Shanty Blues," he sings that his lover "Cause me to weep, cause me to moan, cause me to leave my home," which Lead Belly would record sing in "In The Pines" in New York City in 1944—& Nirvana would record in New York City 49 years after that. In "Railroadin' Some," Thomas turns his guitar into a chugging train & his quills into its whistle, calling out the stops several decades before James Brown closed his Live At The Apollo LP with his then-current hit, "Night Train"; in "Arkansas," he sings a version of "My Name Is Johanna" that sounds like it could be the grandfather of Creedence Clearwater Revival's "Lodi"; in "Honey, Just Allow Me One More Chance," he sets up the phraseology—if not quite the music—for Bob Dylan's version, one of the few non-originals included on his breakthrough LP The Freewheelin' Bob Dylan, which is definitely his finest folk album, if not his finest album, period (for what it's worth, it is the one in the Library Of Congress's National Registry). Countless more phrases & tunes whiz by in the music. Henry Thomas sings about having a girl who works hard; being Alabama bound; going back to Baltimore; the last fair deal going down; looking where the sun done gone; standing on the corner; going around the mountain; being a poor boy a long way from home; wearing that ball & chain. His music can take any form—he can blow his panpipes like a train whistle; he can howl to imitate a dog; he can stop his guitar cold & pull the song out from under you, before returning with a huckster's smile & tagline. He sings about sinful women; he praises God; he sings a song about a little red caboose that wouldn't sound out of place in a nursery school sing-a-long. His songs feature people walking, standing, dancing, running, traveling, going fishing, cooking with shortening bread, riding on trains, waiting for trains, riding the rods under trains, driving in automobiles, sailing in boats, working in a pink & blue dress, sitting in jail. One can only wonder what a few more recording sessions would have yielded—it's hard to imagine an even bigger scope of American life than what we already have. Like Lead Belly, who was 14 years younger than Thomas, it's not hard to picture him singing for hours on magnetic tape songs that he learned & made up. It should be said, however, that Henry Thomas wasn't a masterful songwriter, musical virtuoso, or a great singer—his music does not have the painstaking craft of Robert Johnson, the musicianship of Muddy Waters, or the powerful delivery of a Howlin' Wolf. He is a rudimentary guitarist & a capable if unremarkable vocalist; only his exquisite quills playing marks him for any uniqueness. He is a street performer, nothing less, nothing more, & it is this that gives him his power. Listening to his 23 songs—more original recordings than any other songster of the period, as Lead Belly largely made non-commercial field recordings & Mississippi John Hurt only expanded his discography once he was rediscovered in the 1960s—gives you the feeling of taking an African-American performer from off the street (literally) & listening to what music he plays—to make people entertained, to make people dance, to make people think, to make people sing along, to make people forget their troubles. We may not know exactly what the average folk music sounded like to the average folk for the first generation of free African-Americans until the blues hit in the 1920s, but thanks to Henry Thomas, we have a better idea, a skeleton key that unlocks all that came after it—& maybe, at least some of what came before it.